Dharamshala: The government is revisiting its strategy to combat tuberculosis after setting an ambitious target to eradicate the dreaded disease from India by 2025. It will come up with a national plan with an aim to have a “dynamic strategy” to tackle the problem, according to Union Minister of Health and Family Welfare J P Nadda. “We are revisiting our strategy to fight tuberculosis and we are coming with national plan. It is under active consideration and in the next one month we will review it,” he told reporters at the TB-Free India Summit here. The country needs to have a dynamic strategy in order to deal with the problem, he added. Tuberculosis (TB) takes lives of over 4.8 lakh Indians every year. Over 28 lakh TB cases are reported per year in the country. Nadda said India is also moving towards better fund allocations for the health ministry. “In terms of GDP, the funds should be 3 to 4 per cent. Health policy 2017 commits that we will bring it to 2.5 per cent of the GDP and we are moving forward in that direction,” the minister said. The ministry’s budget has gone up by over 27 per cent in the current fiscal as compared to the previous financial year, he added. Stating that fund allocation is not a problem, Nadda said the issue is the inability of the states to fully spend their respective budgets. The ministry has identified 175 districts across nine states which would require additional focus in terms of implementation of various health schemes, he added. Nadda said India has been able to reverse cases of TB, HIV and malaria in the country due to active health programmes. Speaking on the sidelines of the event, BJP MP and former BCCI chief Anurag Thakur said the central government under Prime Minister Narendra Modi is committed to eradicate TB from the country by 2025. “When the head of the government makes a commitment to make country TB free by 2025 that clearly sends the message,” he said. Citing success of Jan Dhan and Ujjwala schemes, the three-time BJP MP said the government was also committed to a TB free India. In order to bring awareness regarding the disease, MPs played a twenty over cricket match with Bollywood celebrities at the HPCA stadium here. MPs team was led by Thakur while Bobby Deol captained the Bollywood team. The two-day summit is jointly hosted by the Himachal Pradesh Cricket Association (HPCA) and the International Union against Tuberculosis and Lung Disease (the Union), as a part of a TB-Free India campaign being implemented by Central TB Division, Ministry of Health & Family Welfare. The meet is also supported by Challenge TB (the flagship TB control programme of the United States Agency for International Development), the Global Fund and WHO. 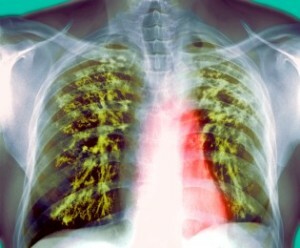 Impossible to eradicate TB by 2025. First we have to eradicate poverty and illiteracy.